The three founders of Bulleen Screens spent over 40 years each in the window and door manufacturing industry in Australia, working in and with the big multi-national names. 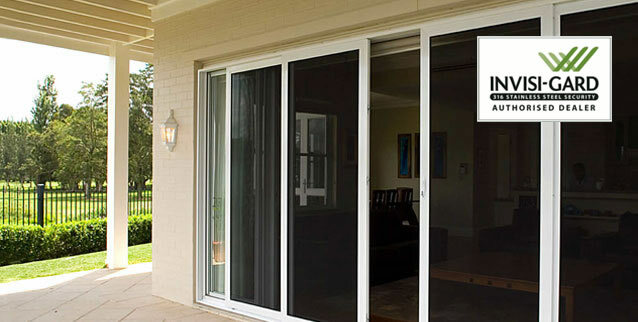 Here at Bulleen Screens Melbourne we manufacture a wide range of quality Flyscreens and Security Screens for Doors and Windows. Our customised range includes Flyscreen Doors, Decorative Aluminium & Steel Security Doors, INVISI-GARD Security Doors and Windows and Flyscreen Windows. We pride ourselves on being able to offer a wide range of options in style, colour, mesh types, durability and overall security to meet your individual needs. Centrally located in Melbourne, our expert tradespeople are on the road servicing anywhere within 50km of the GPO along with regular trips to the Mornington Peninsula, Geelong, Ballarat, Kilmore and Pakenham. We service a range of highly regarded trade customers and also welcome the public to buy direct. We pride ourselves on being able to take a job from quote to installed and completed on budget and on time. Browse through our wide range of Doors and Window Screens then contact us today for a quote and some no obligation advice on your Melbourne Flyscreen and Security Door and Window needs.